Our next group of contestants come from the country of Bolivia. Bolivia is located in Central South America and is one of the only two landlocked contries in S.America (the other being Paraguay). Sucre is its constitutional capital and La Paz is the Administrative capital. Bolivia has a population of 8,300,000 and shares borders with Argentina, Brazil, Chile, Paraguay, and Peru. Bolivia's National airline is the second oldest surviving airline in Latin America. LAB was founded in 1925 by Bolivian-Germans with Junkers aircraft. 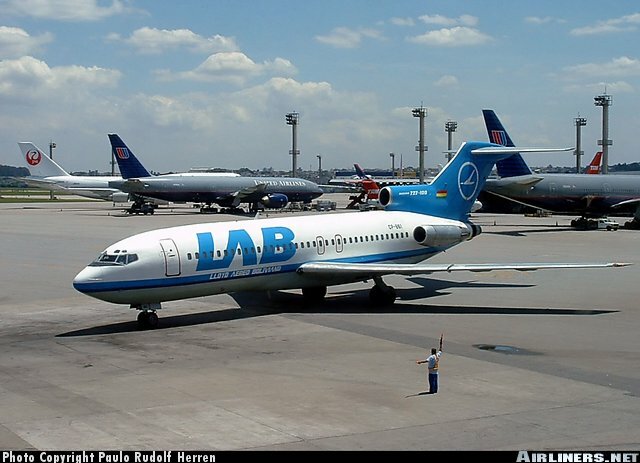 LAB was nationalized in 1941 and Panagra aquired 23% and introduced DC-3's and Boeing 17s. During the 1960's Lab also bought C-46's. 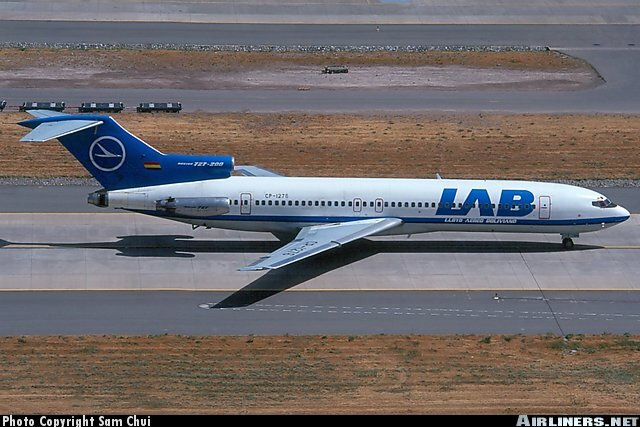 LAB's big step came in 1970 when it placed an order for a Boeing 727-100. By the end of the decade they were the backbone of the airline with six in the fleet. In 1980, the first 707's arrived. 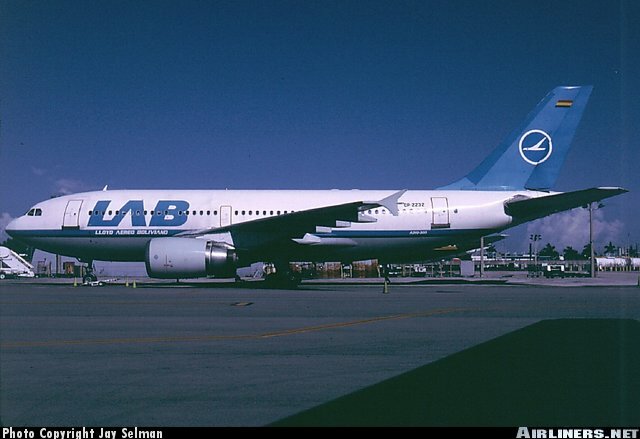 Airbus 310 aircraft entered service with LAB in 1991. 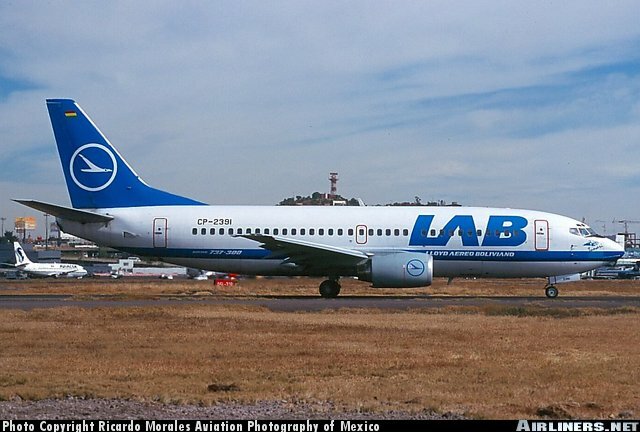 In 1995, LAB was privatized and purchased by the VASP airline group from Brazil. A new livery and 737-300's entered the fleet. 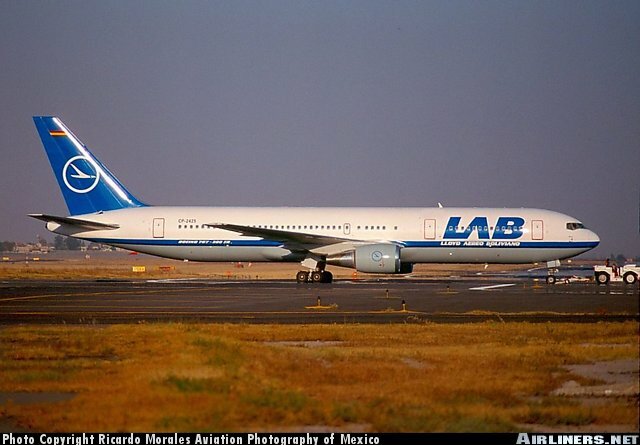 At the end of 2002, LAB recieved a 767-300 which looks absolutely stunning.